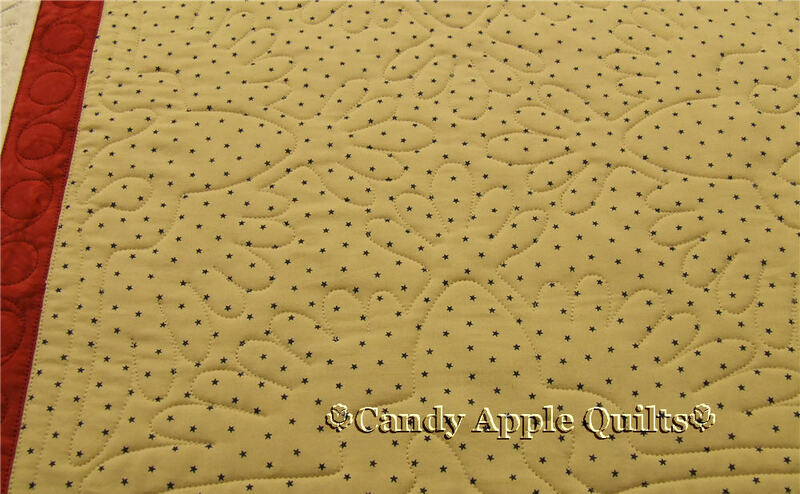 Now available as a pattern for you to download today!Order the quilt pattern here! It was an honor and a privilege to complete this quilt! Measuring 55 by 48, it's a contemporary version of the American flag. 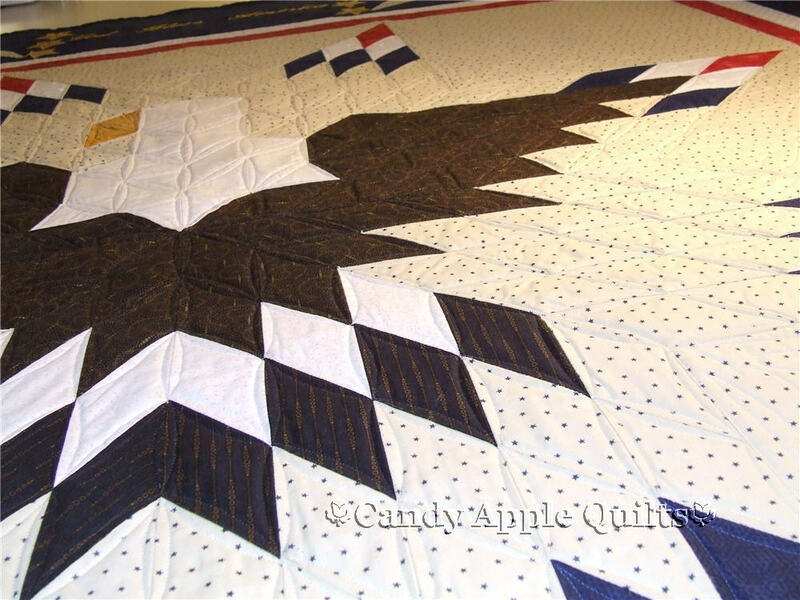 You can see by the close-up picture of the square section, the detail of the eagle that is quilted with a circle of stars surrounding him. Inside of all of the white stripes, there is lettering for the entire Pledge of Allegiance. 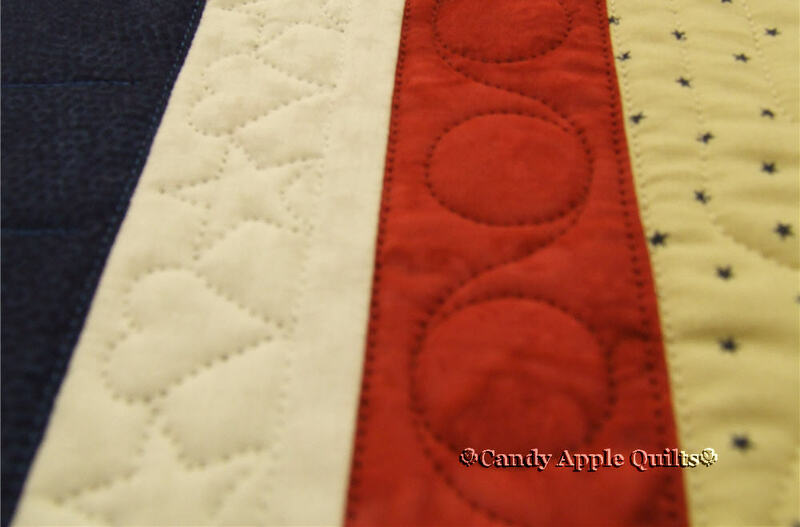 Inside the red stripes, you will find quilted stars. To highlight the area that traditionally has a blue background, you will find a blue and white checkerboard. This left the center square available to the light shade of gold that features the eagle. This is a very quick quilt to make, and is a wonderful gift for someone who is very patriotic and proud. Order the pattern here. Annette Williams entered her quilt, and won first place! (See picture below). Congratulations, Annette!